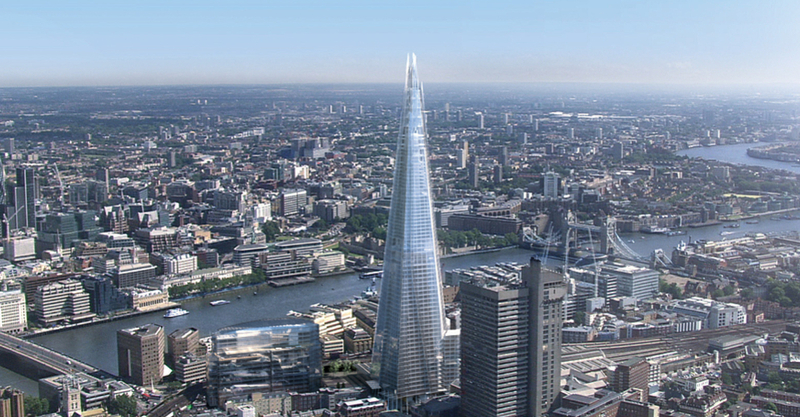 Just a simple but highly effective vision of the future Shard. In this video made by Uniform the image of a future building is broadcasted. "London Bridge Quarter" is a short film about "The Shard", the new project by Renzo Piano Building Workshop, planned for London 2012. Produced three years before the construction of the skyscraper, this video doesn't illustrate the design choices or any technology. It only shares its image and its future role in the urban skyline. The work for the London Bridge Quarter had begun in 2009. Uniform used realistic renders to show the future of the heart of the city. The changing appearance of the glass over the façade of the "shard" and "place" filmed as if in live footage at different times of day, is shown in a spectacular and rhetoric way, with no dialogue to interrupt the moment. In this aerial shoot the glass tower is a major landmark that faces the other buildings and skyscrapers over the brand new skyline and cityscape of London 2012.